EXTEND ANALOG INPUTS: DSI adapters are compatible with any Dewesoft amplifier with a DSUB9 analog input, independent of the product family. They will fit SIRIUS DAQ system, KRYPTON DAQ modules, MINITAURs or DEWE-43 DAQ instrument. 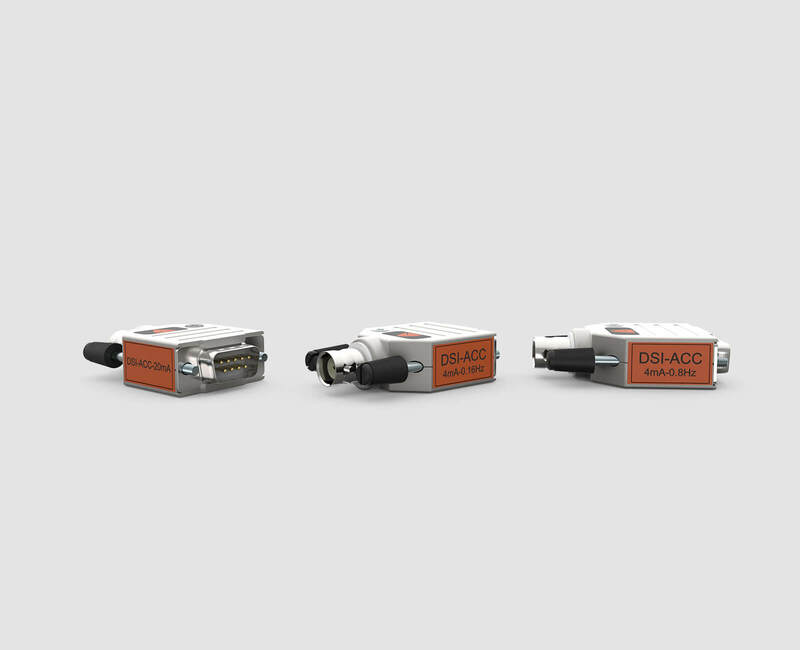 PLUG-AND-PLAY WITH TEDS: All DSI adapters have TEDS chip built-in for automatic sensor detection and plug-and-play setup. 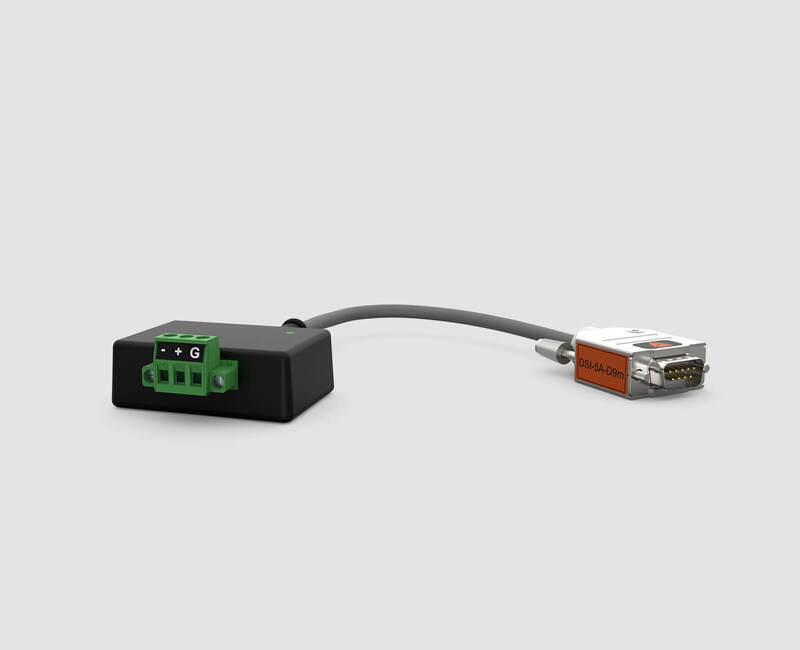 Just connect the sensor to DSI adapter and DSI adapter to one of our DSUB-9 analog input and everything from scaling, units, calibration data, etc. will be configured automatically. COMPACT AND RUGGED: All electronics are built into small and rugged DSUB-9 aluminum housing with screw connectors to firmly screw adapters to the analog input channel. 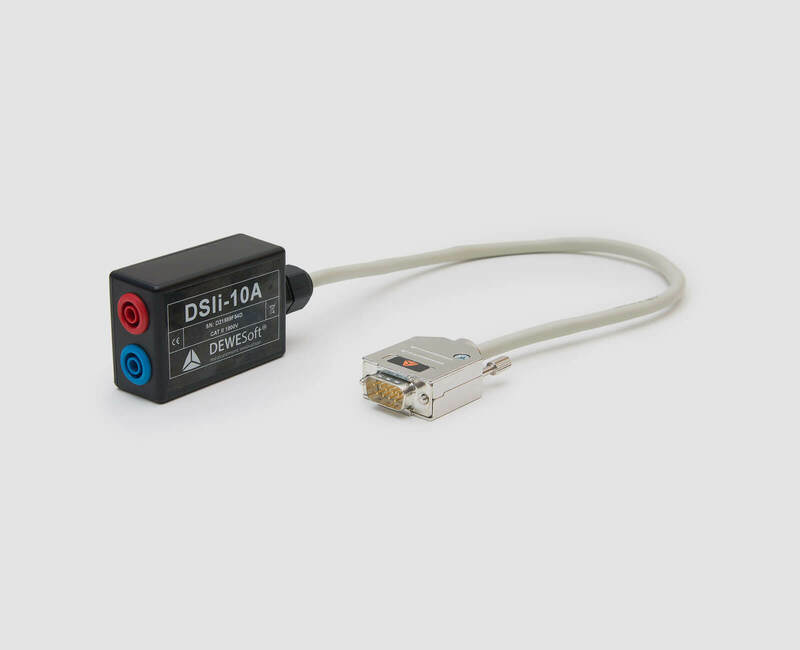 The versatile DSI® adapters convert any Dewesoft's DAQ system analog input with DSUB9 connector into a universal analog input that can accept everything from strain gage, IEPE/ICP, thermocouple, LVDT, RTD, current to voltage signals with up to ±200V. 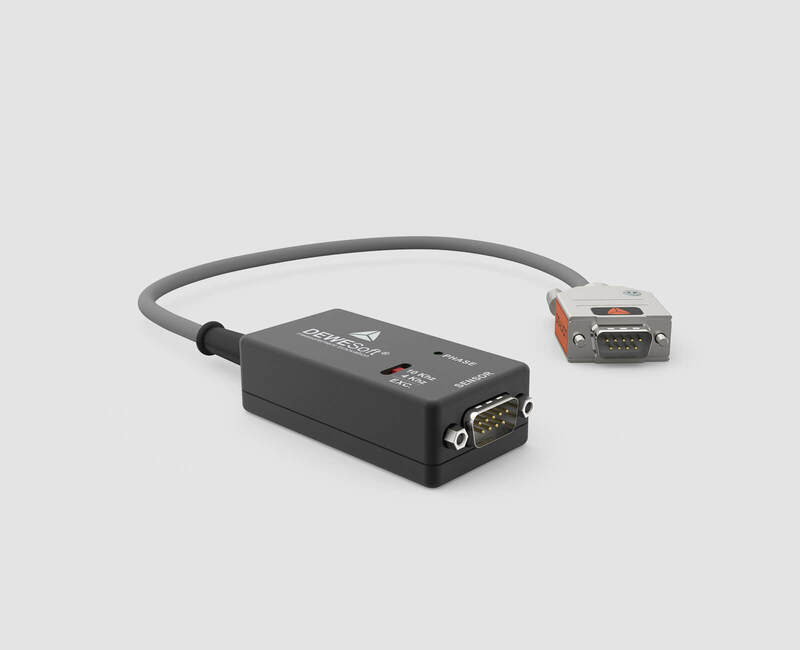 DSI adapters are automatically recognized by TEDS and all settings are configured automatically inside Dewesoft X DAQ software. 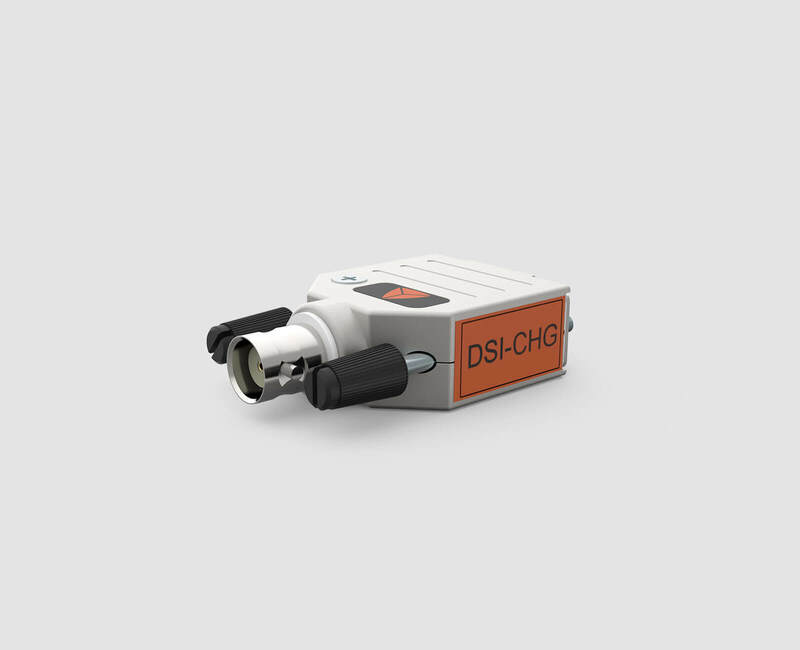 DSI-CHG adapter is intended for charge accelerometer or microphone sensors with BNC connector. The range is up to 50000 pC. 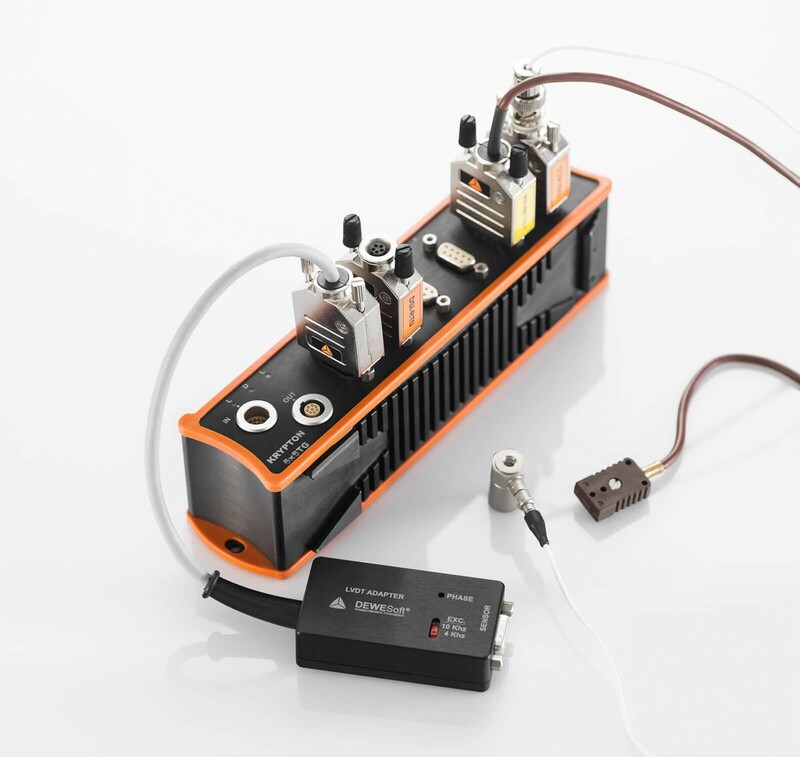 AC coupled with 0.07 Hz. Max. 100 kHz bandwidth. DSI-V-200 adapter will enable any DSUB9 analog input to accept ±200V voltage range, differential input via BNC connector. Bandwidth and ranges are defined by the connected amplifier. DSI-TH-T - thermocouple type T.
DSI-20mA - 20mA current input adapter with internal shunt 50 Ohm, 0.05% accuracy for sensors with 4 to 20 mA output. DSI-5A - 5A current input adapter with internal shunt 0.1 Ohm, 0.05 accuracy. DSIi-10A - isolated “shunt” with 10 A FS and accuracy < 0.5% FS and bananna connector. DSIi-20A - isolated “shunt” with 20 A FS and accuracy < 0.5% FS and bananna connector. 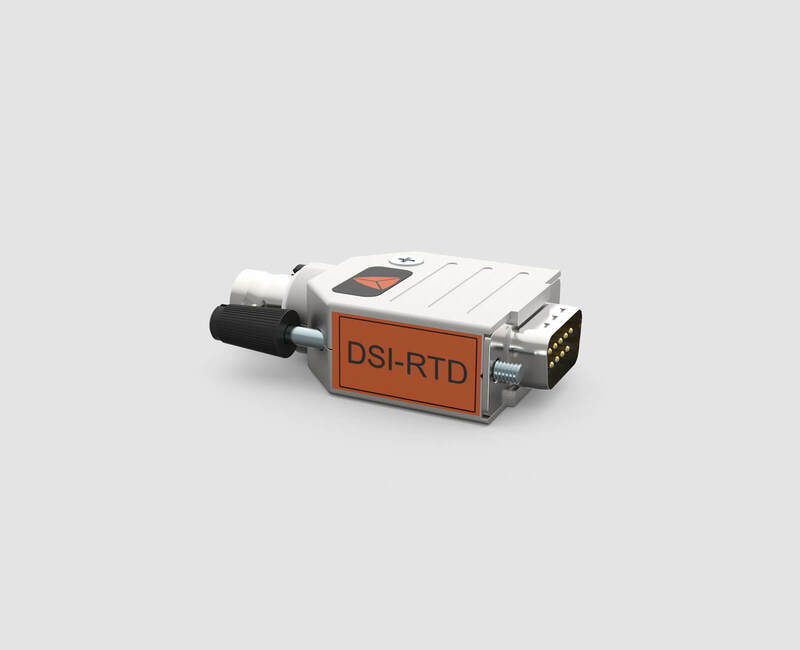 DSI-LVDT is an adapter for connecting LVDT sensors. 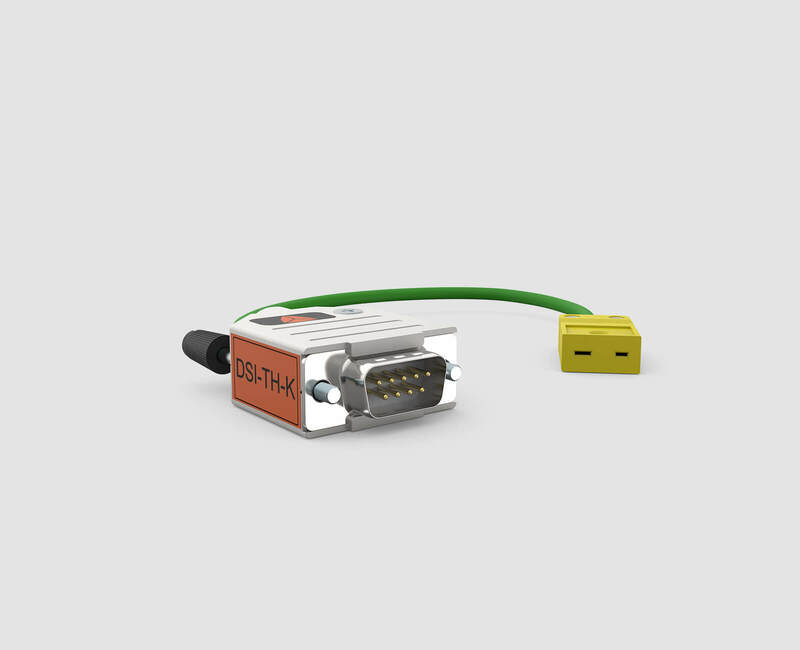 Generates 4 to 10 kHz excitation for LVDT sensors and includes phase adjustment with a potentiometer. Output 1 V = 1000 mV / V.